Happy Monday! I hope y'all had a wonderful weekend! It was a great one here full of friends, celebrating a birthday and a baby plus lots of good food! Friends are food always make for a good weekend. 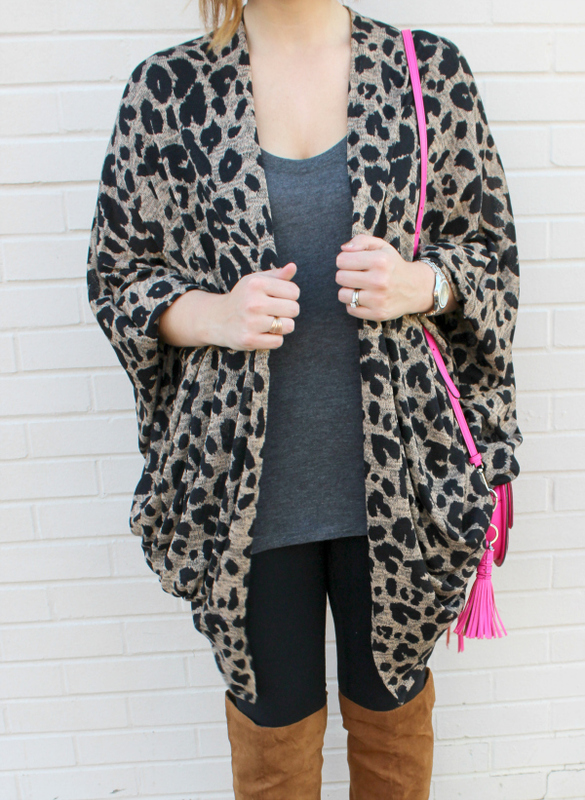 Today, I am so excited to share this fun leopard kimono from Gray Monroe! 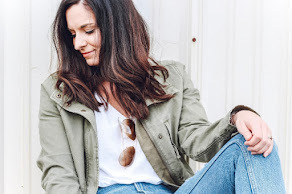 I have so many closet staples from Gray Monroe because they stock the cutest clothing and accessories that you feel good wearing! Hello, mom friendly pieces that are fashionable and flattering. When I saw this leopard kimono pop up on the website, I knew I had to have it. I am a big fan of all things leopard! The sizing is one size fits most so it's loose and drapes beautifully, which I love. I styled my Gray Monroe kimono with a gray tee, comfy leggings, over the knee boots, and a pop of pink! I love making my all neutral outfit more interesting by adding some color. My favorite way to add color is with my bag. I have grown quite the collection of colorful bags because it's such an easy way to change up your look. I also plan to style this kimono with a graphic tee and jeans for an easy, casual look. It can also be dressed up by throwing it on over your favorite little black dress with a pair of red high heels for date night. The possibilities are endless! 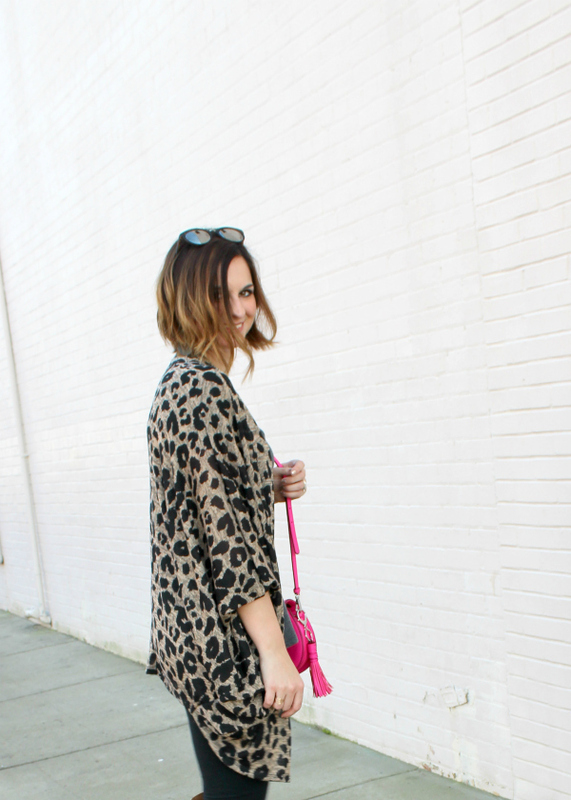 I am loving that leopard kimono on you! Hope you had a wonderful weekend! Happy Monday! 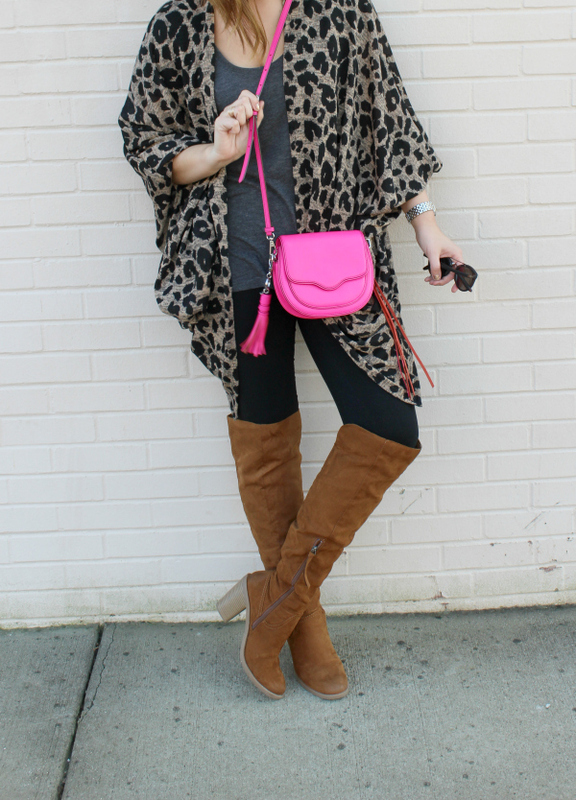 I love the way you styled this kimono! I'm all about anything leopard. This is totally a look I would wear. pink and leopard? yes please! always a winning combo! So cute! 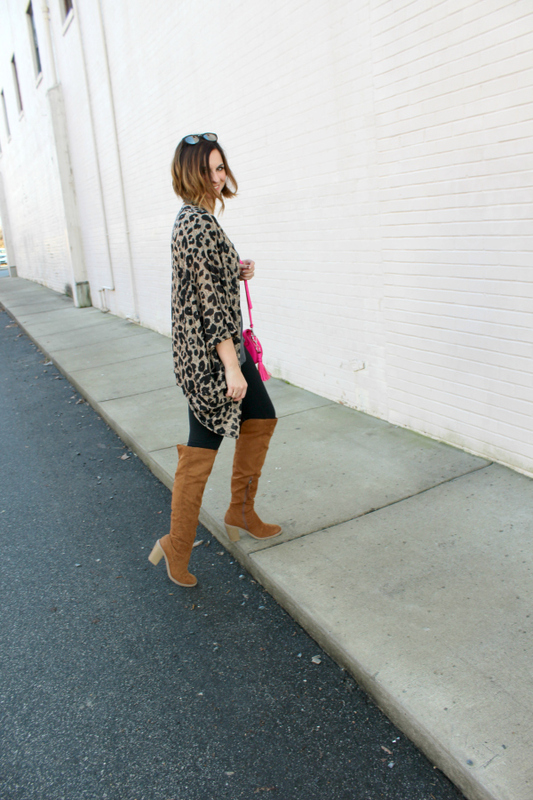 I love a little pop of leopard! seriously loving that kimono! I've never bought anything from there but i'll have to check it out!! 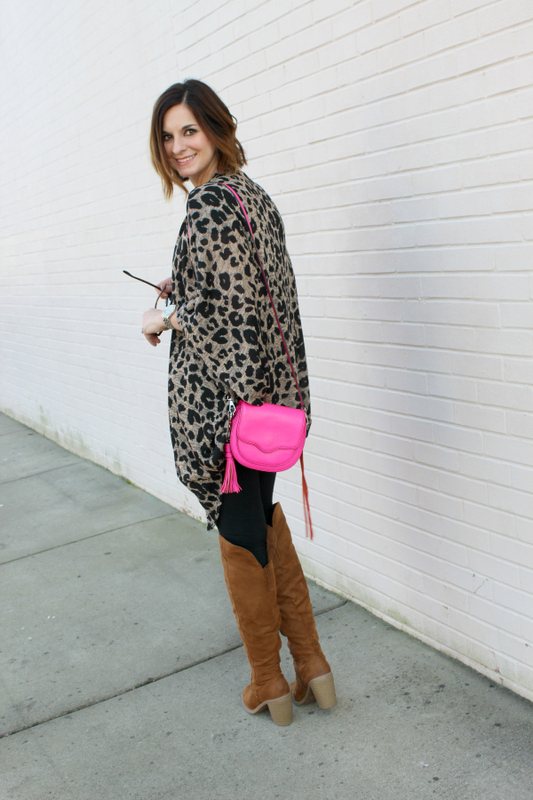 Obsessed with the leopard and pop of pink! That bag is perfect, love the size! Love this kimono with the pop of pink. It's looks so cute on you! Leopard is always a good idea! I love how you styled it with the pop of pink! Oh I just love this look and the pop of pink! Such cute outfit inspo!